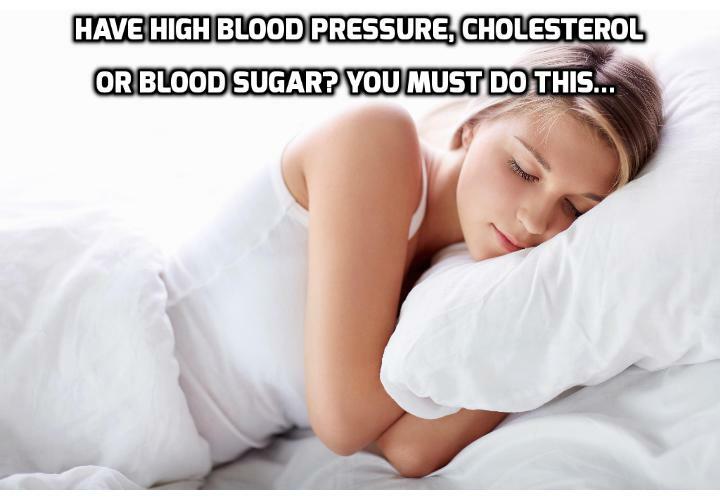 What Are Health Risks If You Slept Less Than 6 Hours? If you’ve high blood pressure, high cholesterol or high blood sugar, you’ll be twice as likely to die early if you skimp on this one activity. No, it’s not exercises, eating healthy or taking your medications. In fact, it’s one pleasant activity that most of us just don’t allow ourselves to indulge in enough. What Can Happen to Your Health If You Slept Less Than 6 Hours? Metabolic syndrome is a fancy way of saying you have the risk factors for modern lifestyle diseases such as high cholesterol, high blood sugar, high blood pressure etc… Leading to diabetes, heart attack and stroke. American researchers have just published a study in the Journal of the American Heart Association revealing that people suffering metabolic syndrome need to sleep for more than six hours per night. They picked 1,344 adults with an average age of 49 who were studied by a different study called the Penn State Adult Cohort. These people all slept in the sleep laboratory for one night so the researchers could calculate their typical sleep duration. 22 of them died during the follow-up period of 16.6 years for which they were observed. Compared to those without metabolic syndrome, those with this condition who slept more than six hours were 1.49 times more likely to die of heart disease or stroke. That is not surprising, as we know how unhealthy this condition is. The interesting finding, however, was that those who slept less than 6 hours were 2.1 times more likely to die of heart disease or stroke than people who were not suffering from metabolic syndrome. It is not just death from heart disease and stroke that is the problem. People with metabolic syndrome who slept less than 6 hours were 1.99 times more likely to die from any condition than the healthy volunteers were.